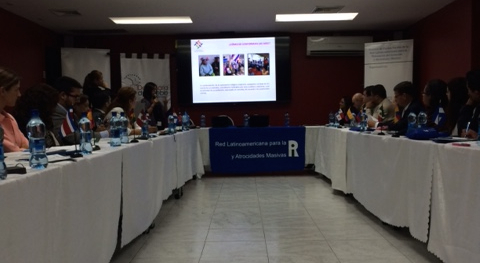 PANAMA CITY, PANAMA – On December 4, 2014, AIPR, in conjunction with the Stanley Foundation, the UN Office of the Special Advisor on the Prevention of Genocide and the Responsibility to Protect (OSAPG), and the Office of the Ombudsman of Panama, organized the third Focal Points meeting of the Latin American Network for the Prevention of Genocide and Mass Atrocities. Focal Points are charged with their respective government’s or Ministry’s participation in the Latin American Network. At this meeting, they shared the initiatives they developed in 2014 and discussed proposals for joint actions to be taken in 2015. The meeting was opened by Lilia Herrera Mow of the Office of Ombudsman of Panama and Dr. Silvio Guerra, Professor of Law at the University of Panama, followed by remarks by AIPR Executive Director Tibi Galis, Jennifer Smyser, Director of Policy and Planning at the Stanley Foundation, and OSAPG’s Mario Buil-Merce. For the first time at a Network Focal Points meeting, there was a series of thematic modules for discussing and exchanging experiences of public policies with a focus on prevention. These interactive modules focused on the situation of indigenous populations in the region, best practices in the development of trainings for peacekeeping and security forces, and national experiences in the implementation processes of National Mechanisms for genocide prevention. 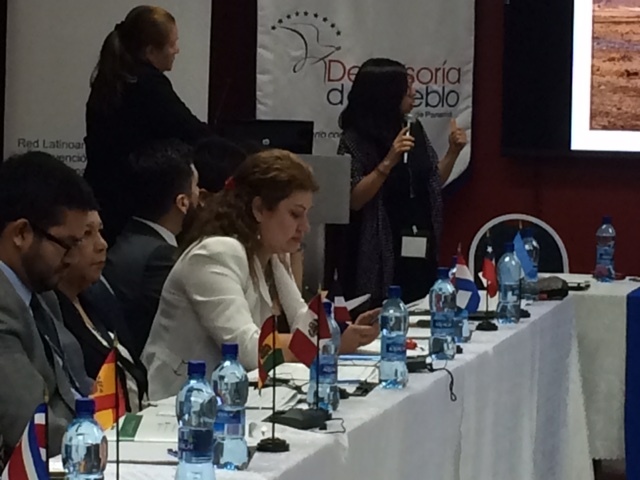 “These Focal Point meetings represent the political will of the countries in the region to advance a common agenda and vocabulary on human rights with a focus on prevention of mass atrocities,” said AIPR Director of Latin American Programs Eugenia Carbone following the activity. The next Focal Points meeting is scheduled for May 2015 in a Latin American country to be determined early next year.